You can see the german version of the first three book from “The Mortal Instruments” and all german “Vampire Academy” books as well. The only books in English on this shelf are “Twilight” and “Harry Potter and the Deathly Hallows”. 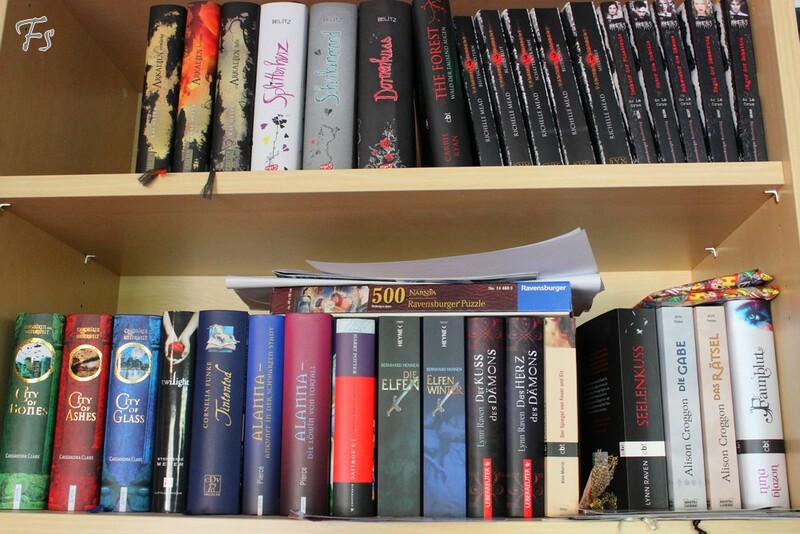 The Rest are Fantasybooks in German. The blank spaces are usually filled with more books, but Sam borrowed them.